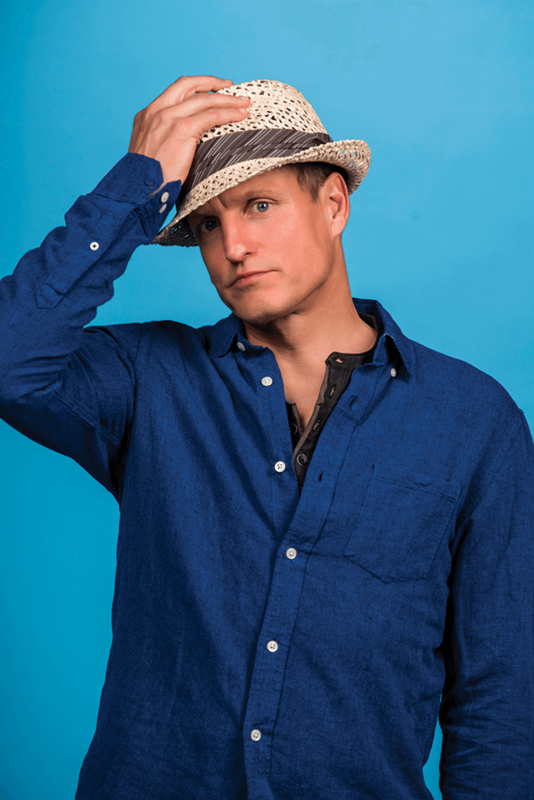 Woody Harrelson stands alone as he flips through the pages of a magazine, scanning the contents of articles while occasionally nodding his head in what appears to be agreement. The location is the historic Bathhouse Studios in New York City, where Harrelson has agreed to do a photo shoot for the cover of this special “straw” edition of Corporate Knights. As co-founder of Prairie Paper Ventures, the Winnipeg, Manitoba-based company supplying our paper, it can be said with a straight face that Harrelson is part of the fibre of this issue. He has been an enthusiastic supporter of the project since we first spoke about it last October, and while busy filming for The Hunger Games sequel and his upcoming HBO crime series True Detective, the actor lovingly known from his days on Cheers as just “Woody” continues to find the time for what he is most passionate about: protecting trees. Harrelson has been trying to slow the pace of deforestation for more than two decades. In the early 1990s, he vocally opposed plans to open up six million acres of Montana forest to logging, and in 1996 he joined environmental activists in a climb up San Francisco’s Golden Gate Bridge to protest the logging of old-growth redwoods in Northern California. But a few years later he had an epiphany: Changing how things are done may be more effective in the long run than simply standing still in protest. CK: There was a moment after you protested the logging of redwoods in California when you decided to change your approach to protecting trees. What happened? HARRELSON: I called up one of my buddies from Greenpeace and we started working together, and I got to thinking, what is the proactive thing to do about dealing with deforestation and clear-cutting? It became obvious to me that since most of it goes to paper, we have to change how paper is made. So non-wood paper has been my dream for a while. CK: I would imagine the average person associates wood harvesting more with lumber products for building houses and furniture. Do we take paper for granted? HARRELSON: More than half of what’s taken from the forest is used for paper, and a big percentage of that is used very quickly and thrown away quickly. Paper doesn’t need to come from the forest. I’d like to see that changed, especially in Canada, where a big percentage of that paper is coming from ancient forest and threatened forest, and it needs to be preserved. CK: How did that revelation lead to your business relationship with Jeff Golfman, the co-founder and CEO of Prairie Paper? HARRELSON: I had a meeting with this engineer who is very knowledgeable about the making of a non-wood pulp and paper mill. I asked him who was the closest to getting this happening in North America. He turned me on to Jeff in 1998. Jeff came to Boston, where I was at the time, and we had a great talk. I could just tell with his energy and positivity that he was the guy who could move this paper forward. CK: You’re doing this for the trees, but are you also doing this for farmers? HARRELSON: I would love to see paper come from the farmer. There are a lot of early industrialists, like Henry Ford, who believed that industry and farmers should be joined at the hip. The farmers could be making our fuel, could be making our paper, and other things we’re using consistently in society could come from the farmer. CK: It has been 15 years since you first got this going with Jeff. Are you happy with the company’s progress? HARRELSON: It’s incredible how far Jeff has come with this, and we’re finally in a place where we know how to make the paper, we have all these companies telling us this is the way to do it, and all these engineers saying this is it. Also, there’s an immense amount of agricultural waste there in Canada that could be used. You could have 10 mills up there using flax and wheat straw waste. I’m excited about where we’re at right now. 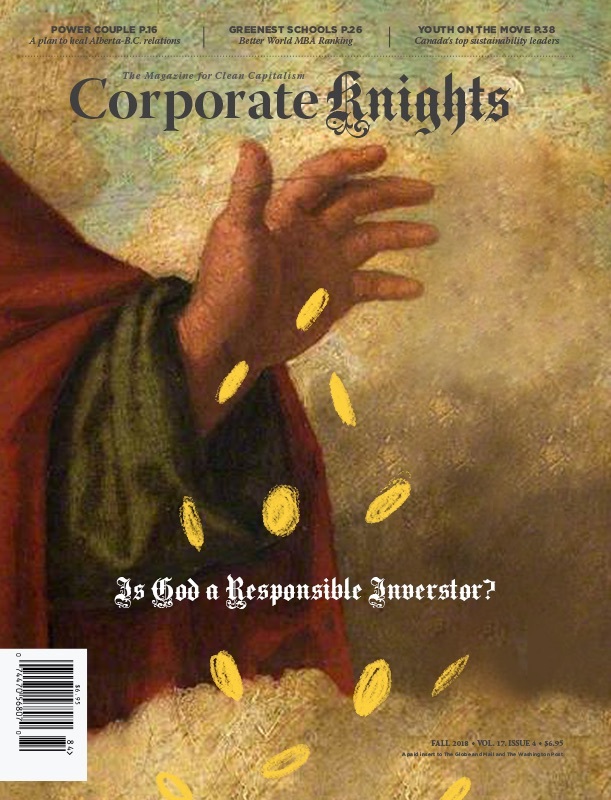 CK: Do you see big business as a potential ally in bolstering the market impact of straw paper? HARRELSON: I definitely think it could be. Big business people who are starting to think environmentally, like Richard Branson and Ted Turner, are having a big influence. Certainly businessmen who start to think that way are really helpful, and that’s what we need most right now. I’d also like to see more business people on the right get behind these ideas. CK: What is the environmental issue that concerns you most? HARRELSON: Climate change is probably the most pressing environmental issue, but it’s coming from so many different directions. Certainly deforestation is a major aspect of it. But one of the top things I’ve been concerned about is mountaintop removal for coal. Really, the primary thing that needs to change is where we’re getting our energy from, both individually and worldwide. I remember (radio disc jockey) Casey Kasem telling me many years ago that it’s best if we pick one cause and make that our life’s work. For me it is the deforestation issue. CK: How would you rate the American response to these issues? Are people starting to wake up? HARRELSON: I think it’s pretty mainstream in the consciousness but not necessarily in the activity of what we’re doing. People are aware of global warming but what are we doing to change it? There’s not a lot being done. CK: Straw-based paper isn’t your only foray into cleantech, is it? CK: You have a successful acting career, including just this year an HBO Series and several movies including the second installment of the hugely popular Hunger Games. You’re a very busy person, and presumably you’re not doing this for money. What is most motivating you to go beyond what might be described as your comfort zone? HARRELSON: I’m concerned certainly for the well-being of my children and future generations, but I think for all of us we need to do something. It’s a pretty extreme time. I’ve been trying to be more proactive. I felt pretty helpless just protesting things. I thought, okay, we protested and nothing changed. So I wanted to get involved in this. I feel that once we get that first mill going, this is really going to be a game-changing situation.